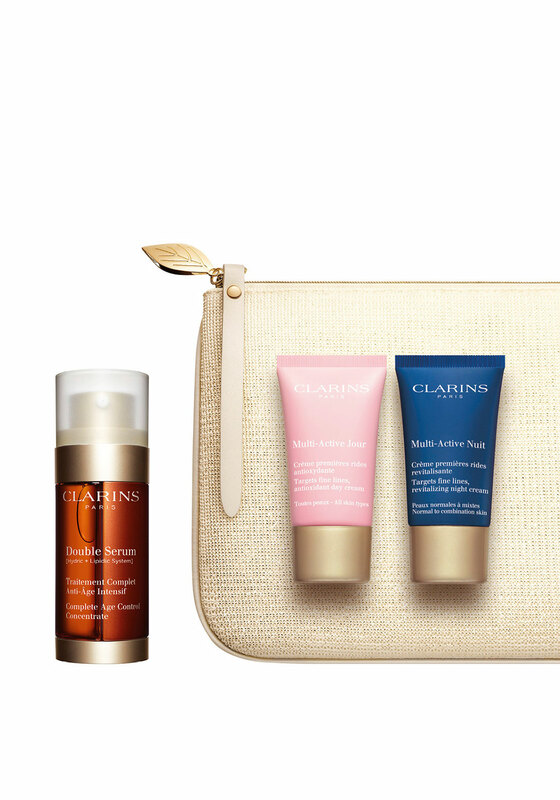 Boost your confidence with the ‘booster programme gift set’ from Clarins. The double serum concentrate fights all signs of aging in one concentrate. The Multi active day cream and the Multi night cream will keep the skin looking beautiful and radiant day and night A lovely ‘pick me up’ gift. 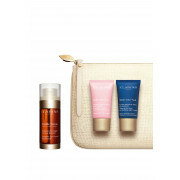 Set Contains: Double serum complete age control concentrate 30ml, Multi-Active day cream 15ml, Multi active night cream 15ml, also includes free wash bag.